Owners of the very charming, puzzle platforming Chariot on the Xbox One can now enjoy the new Royal Gadget DLC. 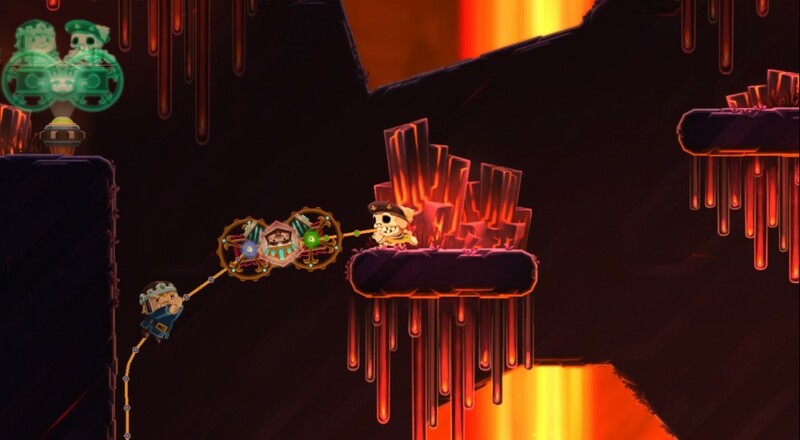 This content adds five new gadgets to the game's existing repertoire and also allows you to play as the Royal Shopkeeper. In addition, each of these gadgets will have two blueprints hidden throughout the game that upgrade its abilities even further. These gadgets are unlocked immediately upon completion of the game's initial stage/tutorial. The DLC retails for $2.49 or players can pick up the bundle (which includes the game) for just $15.99.